Today I have a fantastic interview from a Real Wellpreneur series for you. 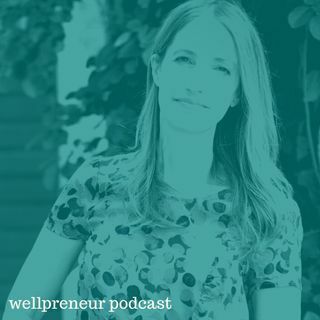 This is one of the most successful series of the podcast because I always interview a wellpreneur who's really successful in the industry about what's working for them these days. This week my guest is health coach Maria Claps, she specializes in midlife women and specifically uses hormone testing to help them get great results. And we're gonna talk about her own personal journey to become a health coach ... See More because of her own issues around menopause. Maria will share what's working for her these days, how did she get started, how she found clients, how she markets her business - all that stuff that so many of you are wondering and wish you could ask more established practitioners, I'm doing it for you. You'll get first hand tips on how should health coaches get started with their business. We also touch on some of the big turning points in her own coaching practice, talk about referrals + so much more.